The first time I had the opportunity to lead a school, I was young and enthusiastic, and embraced my new role with gusto. When I arrived, I hit the ground running, with lots of big plans and changes that I immediately began to implement. The problem, however, was that I had not taken the time to understand the history and culture of the school before I jumped in, and so I began to frustrate the people I was trying to lead as well as the parents I was trying to serve. Eventually, the frustration built to a point of conflict and reaction, and I was forced to stop and evaluate where I had gone wrong, and that is when I began to understand the importance of understanding organizational culture. That was also one of the most valuable lessons I took with me when I eventually took a job at another school. The concept of organizational culture, and its importance and application to leadership, is what Edgar Schein addresses in Organizational Culture and Leadership. In this book, Schein provides a thorough description of culture and its components, including categories and levels of culture, subcultures, internal and external culture determinants, and cultural assumptions. He then addresses the issue (and challenge) of managing culture change, and provides case studies to illustrate the process. Much of what he shares was helpful for me in framing my understanding of organizational culture, but what was most useful for my particular leadership and way of thinking was the explanation of the three levels of culture (artifacts, beliefs and values, and underlying assumptions), as well as the practical tools for changing and embedding culture. They were understandable, and the examples and case studies provided throughout showed what the concepts look like in practice. From my own experience, I have learned the value of understanding history and culture, and this has become a core attribute of my leadership practice. 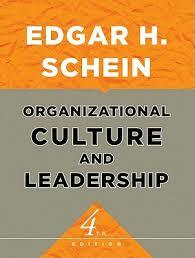 Schein’s book is a great resource for understanding organizational culture, and so I believe it is a useful text for leaders. If you haven’t learned this lesson yet, I would urge you to become intentional about understanding and applying it. Schein, Edgar H. (2010). Organizational Culture and Leadership, 4th Ed. Jossey-Bass: San Francisco, CA.